CHARLESTON, W.VA. (05/18/17) – The West Virginia Symphony Orchestra (WVSO) will celebrate the 35th anniversary of Symphony Sunday on June 4 by featuring some of the community’s most beloved music, food, games and artisans during this free outdoor festival. This family-friendly event includes a full day of entertainment beginning at 1 p.m. that includes performances by West Virginia musicians and dancers, a Japanese cultural presentation, Celtic jam session, a drum circle and a symphonic concert by the state’s premier orchestra at the University of Charleston. The day caps off with a grand finale performance of Tchaikovsky’s 1812 Overture and a fireworks display that illuminates the West Virginia State Capitol. “It’s our way of giving back to the community and thanking them for their support,” said WVSO President Joe Tackett. While the entertainment, children’s games and craft activities are free, vendors also will sell crafts and food, including Greek, Philippine and Indian cuisine, among others; For $2, children can enjoy unlimited time on Party King inflatables. Symphony Sunday is presented by the West Virginia Symphony League, the WVSO’s volunteer fundraising and social arm. The league kicks off the 2017 Symphony Sunday weekend at 6 p.m. Friday, June 2, with a VIP Happy Hour that includes commemorative gifts and a French wine-tasting event led by Scotty Scarberry from The Wine Shop at Capitol Market. A Pinnacle Party sponsored by Steptoe & Johnson follows at 7:30 p.m. This special fundraiser, themed “An Evening in Paris,” will feature heavy hors d’oeuvres, beer and wine on the 17th floor of the Chase building, 707 Virginia St. East. Tickets for the Pinnacle Party are $50. For an additional $25 patrons are invited to the exclusive VIP Happy Hour. A “Be Our Guest” reception from 6 to 10 p.m. Sunday gives patrons exclusive access to watch the performances from atop the university rotunda and patio of Riggleman Hall. Heavy hor d’oeuvres, craft beer and wine will be served. Tickets to the “Be Our Guest” reception are $50. Tickets for both receptions and the VIP Happy Hour can be purchased by calling the WVSO at 304.957.9876, by emailing Amanda McDonald at amcdonald@wvsymphony.org or by visiting wvsymphony.org. Symphony Sunday 2017 is made possible through support from the following friends: State of West Virginia, West Virginia Division of Culture and History, University of Charleston, Central West Virginia Convention and Visitors’ Bureau, The Greater Kanawha Valley Foundation, Kanawha County Commission, City of Charleston, Steptoe & Johnson PLLC, Charleston Area Medical Center, Members Choice West Virginia Federal Credit Union, West Virginia American Water Company, Fifth Third Bank, Mitch & Ann Evans, Kaminski Law Office, Kay Casto & Chaney PLLC, MacCorkle Lavender PLLC, The Wine Shop, and Ed & Carolyn Vallandingham. Performers include a Drum Circle, Megumi Homma’s Japanese cultural presentation, Plant and Gnome Celtic jam session, Brass Quintet, and more. CHARLESTON, W.VA. (5/5/17) – The West Virginia Symphony Orchestra (WVSO) joins classic country on Saturday, May 13, at the Clay Center in a musical tribute to the greatest stars in country music. Nashville performers Rachel Potter from The X Factor and Patrick Thomas of The Voice join guest vocalist Alana Springsteen and the West Virginia Symphony Orchestra in playing such classics as Achy Breaky Heart, Crazy, Ring of Fire and The Devil Went Down to Georgia. Maestro Grant Cooper is conducting. Tickets start at $15 and can be purchased at wvsymphony.org or by calling the Clay Center Box Office at 304.561.3570. $15 “Tweet Seats” are also available in the second balcony where the audience is encouraged to share their concert experience with the WVSO via social media. This concert is brought to you in part by ZMM Architects & Engineers, Huntington Bank, A.C.&S and members of the Contractors Association of West Virginia, BBL Carlton, Brewer & Company of West Virginia, LOC Investment Advisers, Pickering Associates and Triton Construction. The West Virginia Symphony Orchestra is West Virginia’s premier performing arts organization, presenting classical, pops, and chamber-music concerts annually throughout the Mountain State. Currently in its 78th season, the WVSO is a proud member of the community and enriches the region by providing affordable, high-quality concerts, collaborations with West Virginia arts organizations and a nationally award-winning education program. CHARLESTON, W.Va. (March 21,2017) – The West Virginia Symphony Orchestra (WVSO) continues its search for a new music director with conducting candidate Kevin Rhodes leading the WVSO in a Saturday, May 6, performance at the Clay Center for the Arts & Sciences in Charleston and a Sunday, May 7, performance at Blennerhassett School in Parkersburg. Rhodes, who is music director and conductor of the Springfield Symphony Orchestra in Massachusetts and Traverse Symphony Orchestra in Michigan, is one of six candidates vying to replace retiring Maestro Grant Cooper, who has led the WVSO since 2001. Tickets for the Charleston performance, which starts at 7:30 p.m., can be purchased by visiting wvsymphony.org or by calling the Clay Center Box Office at 304.561.3570. $10 “Tweet Seats” are available in the second balcony where the audience is encouraged to share their concert experience with the WVSO via social media. This concert is part of the Capitol Conference Center Symphonic Series and is sponsored by Jim & Keith Straw, Ellen’s Home Made Ice Cream and KVC West Virginia. Rhodes will be conducting the WVSO and Valkov in Parkersburg, beginning at 3 p.m. Tickets are $22 and student tickets are $10. They can be purchased by visiting wvsop.org, by calling 304.485.4200 or at the door the day of the performance. This concert is sponsored by Jerry L. Villers and Eric Erb, financial advisors at People’s Bank. Rhodes, who has led more than 50 orchestras in 15 countries, will be fully immersed in Charleston, Parkersburg and the surrounding area the week before the concerts, with many free and open-to-the-public opportunities for the community to engage and interact with him. He will meet with different constituencies, including musicians, board, staff, the West Virginia Symphony Chorus, the youth symphony, Kanawha County string educators, media, Rotarians, and more. For additional public opportunities to meet Rhodes, please visit wvsymphony.org for the full week’s schedule. Rhodes began his professional conducting career at the age of 16 in his hometown of Evansville, Ind., and received his bachelor’s degree in piano performance from Michigan State University and his master’s degree in orchestral conducting from the University of Illinois. Among his many accomplishments, Rhodes led the Springfield Symphony in the nationally televised NFL season kickoff game in the fall of 2015 in a performance with rap artist T-Pain of “O Fortuna” from Carmina Burana. Sponsors for the conductor’s search are Capitol Conference Center, BrickStreet Insurance, Appalachian Power, FHL Bank of Pittsburgh, the Bernard H. and Blanche E. Jacobson Foundation and the BB&T West Virginia Foundation. The WVSO is West Virginia’s premier performing arts organization, presenting classical, pops and chamber-music concerts annually throughout the Mountain State. Currently in its 78th season, the WVSO is a proud member of the community and enriches the region by providing affordable, high-quality concerts, collaborations with West Virginia arts organizations and a nationally award-winning education program. 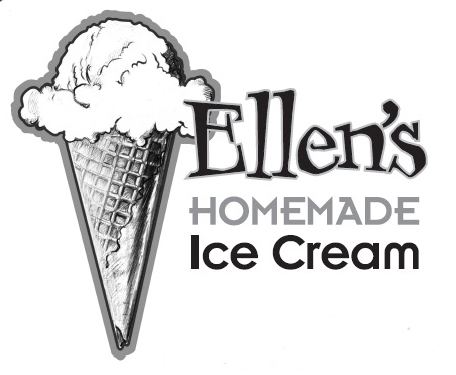 4 – 6 p.m. | Get the Scoop on Kevin – Conducting Candidate Kevin Rhodes will serve ice cream at Ellen’s Home Made Ice Cream, 225 Capitol St., Charleston. This event is open to the public. 5 p.m. | Meet Kevin Rhodes, Parkersburg Country Club. This event is open to the public. Sep 27, 2018 West Virginia Symphony Orchestra presents Opening Night Spectacular! Apr 24, 2018 WVSO ANNOUNCES ITS MOST EXCITING SEASON YET! Jan 31, 2018 West Virginia Symphony Orchestra presents Video Games Live! Sep 21, 2016 WIZARD OF OZ: LIVE ORCHESTRA WITH FILM!